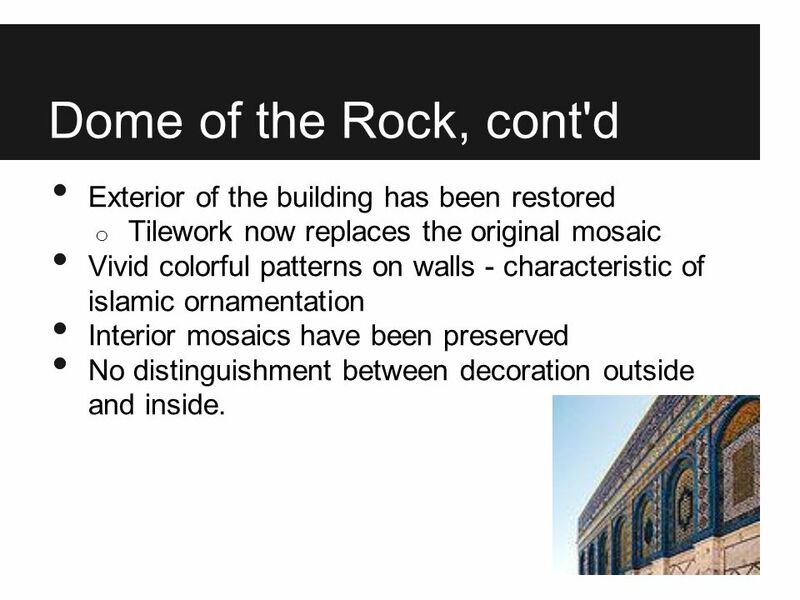 Tilework now replaces the original mosaic Vivid colorful patterns on walls - characteristic of islamic ornamentation Interior mosaics have been preserved No distinguishment between decoration outside and inside. 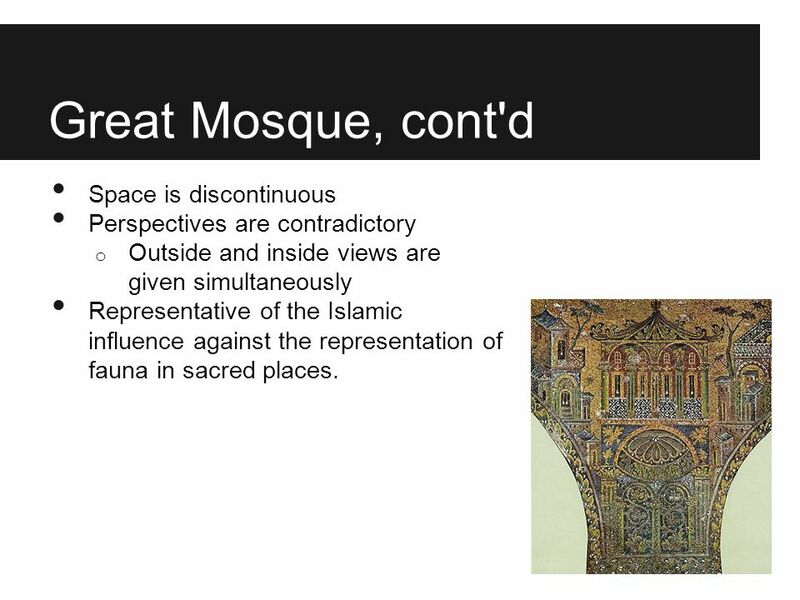 Perspectives are contradictory Outside and inside views are given simultaneously Representative of the Islamic influence against the representation of fauna in sacred places. 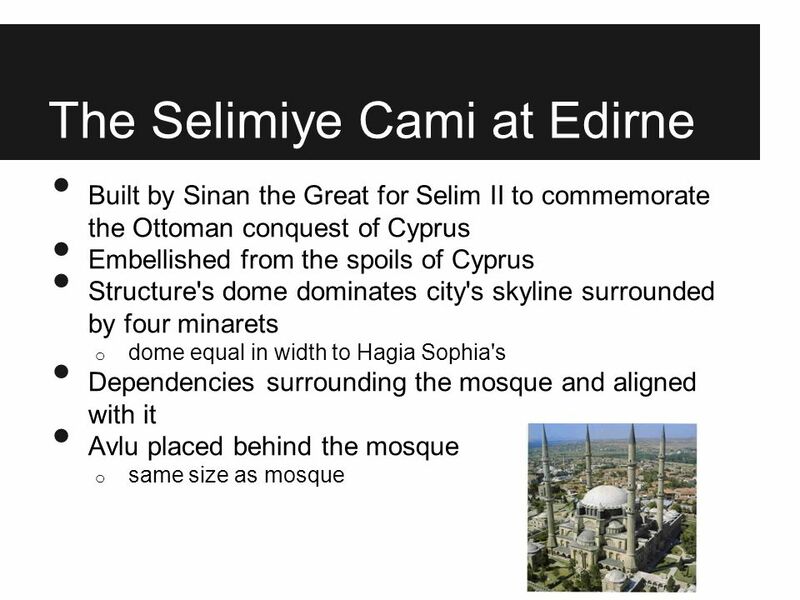 Built of stone - walls have square buttresses Two domes and a Minaret Axis is defined by a raised nave flanked by eight columned aisles on either side - space for a large congregation. 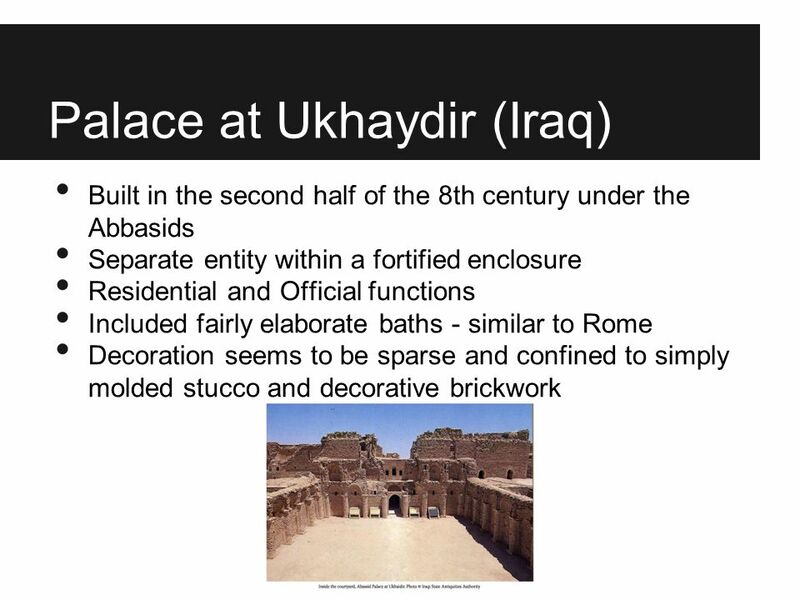 Had the flexibility to be easily enlarged and added to. 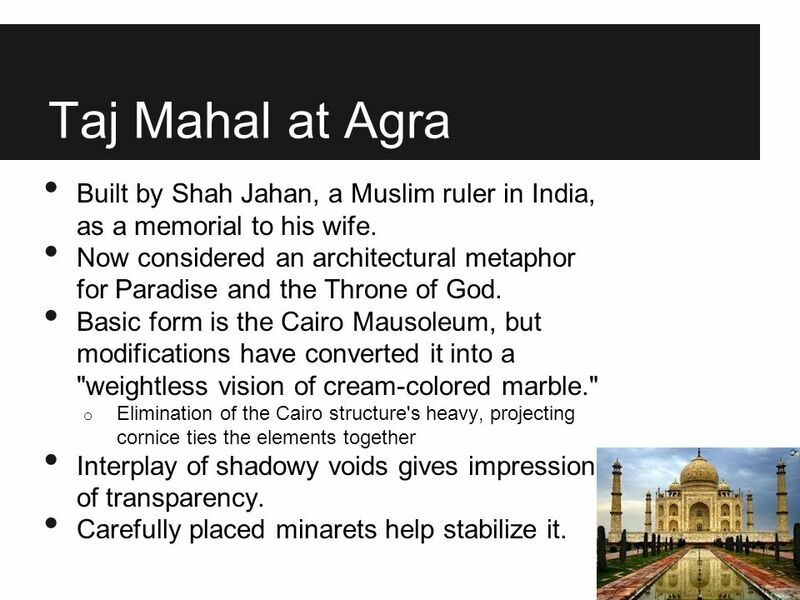 27 Taj Mahal at Agra Built by Shah Jahan, a Muslim ruler in India, as a memorial to his wife. 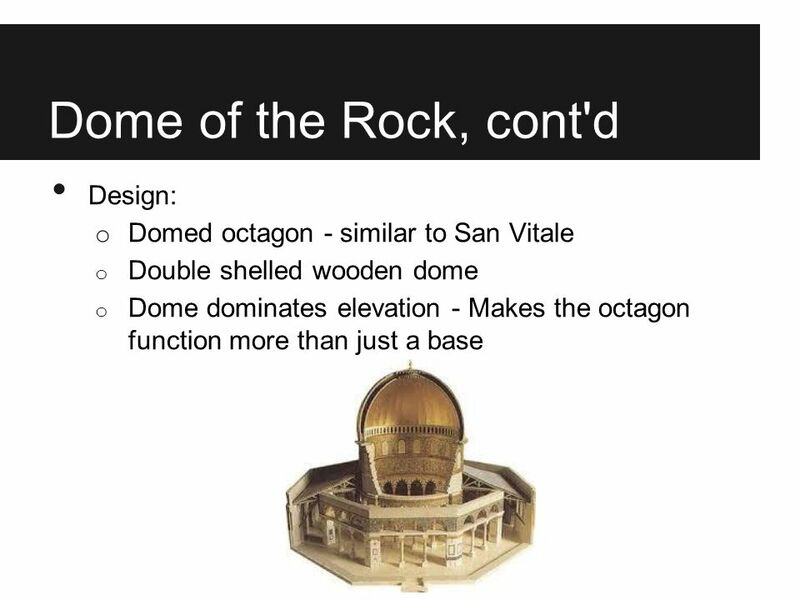 Now considered an architectural metaphor for Paradise and the Throne of God. 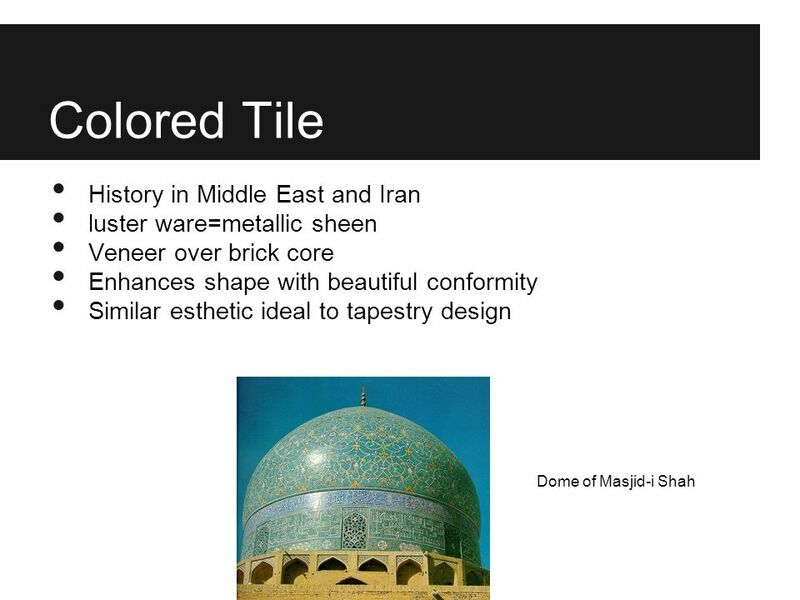 Basic form is the Cairo Mausoleum, but modifications have converted it into a "weightless vision of cream-colored marble." 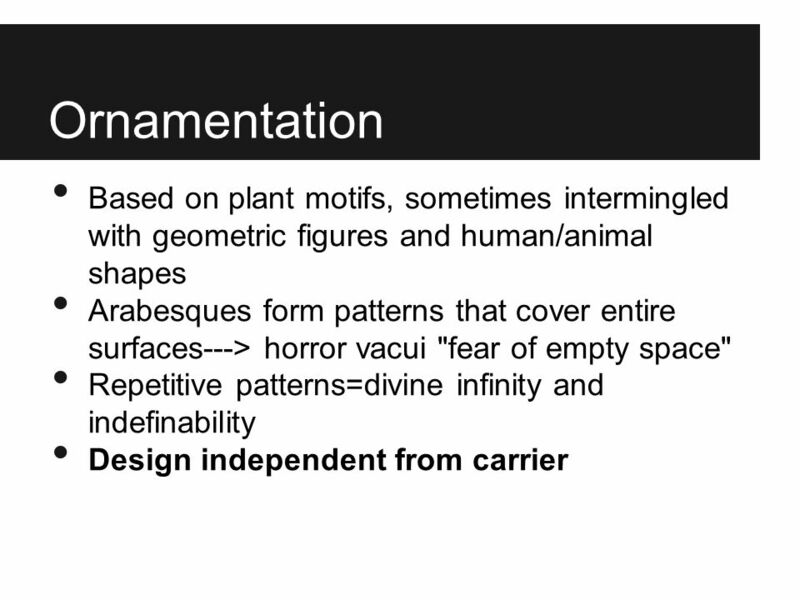 Elimination of the Cairo structure's heavy, projecting cornice ties the elements together Interplay of shadowy voids gives impression of transparency. 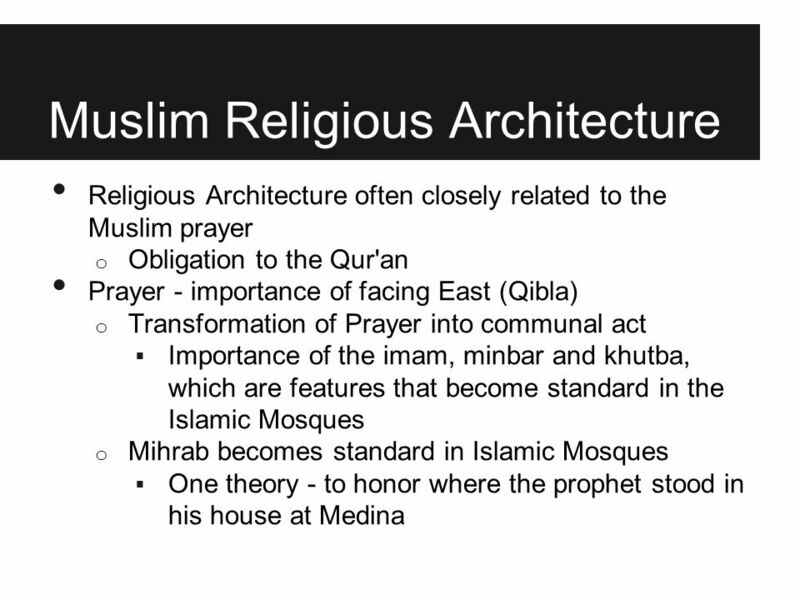 Carefully placed minarets help stabilize it. 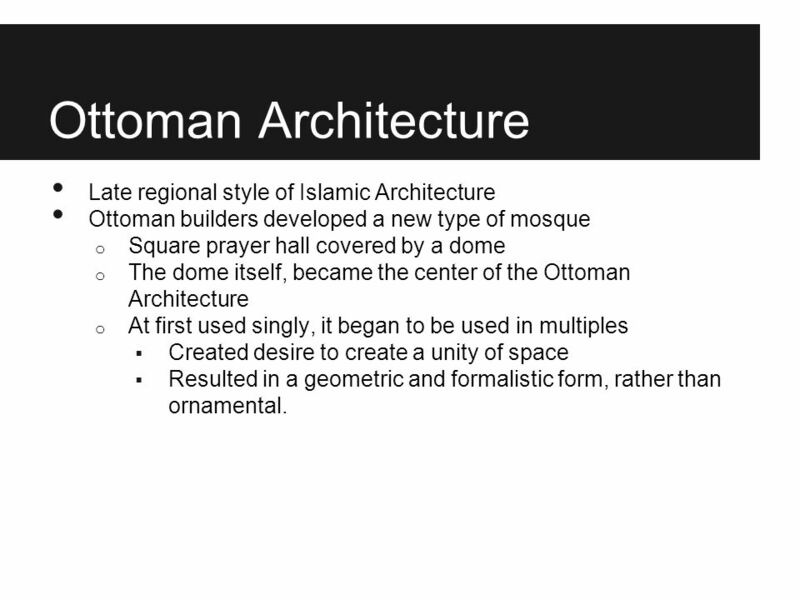 Ottoman builders developed a new type of mosque Square prayer hall covered by a dome The dome itself, became the center of the Ottoman Architecture At first used singly, it began to be used in multiples Created desire to create a unity of space Resulted in a geometric and formalistic form, rather than ornamental. 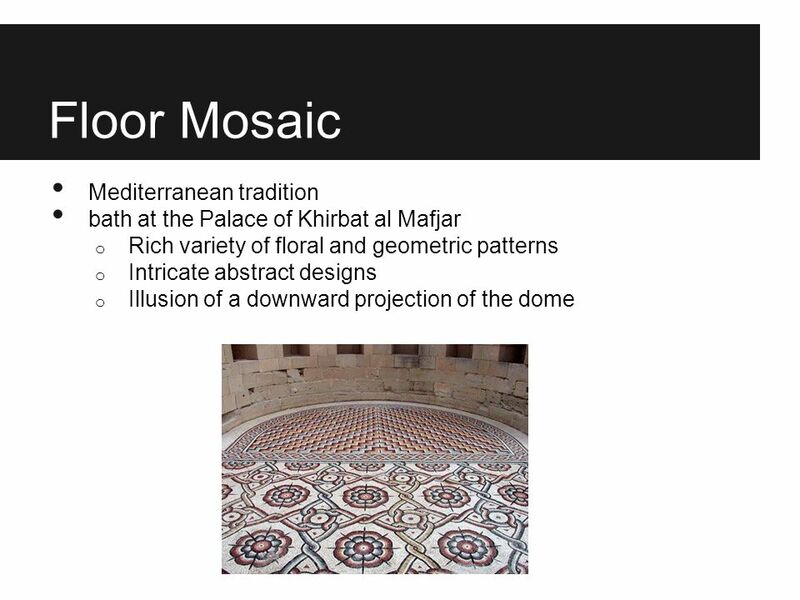 Download ppt "Architecture, Textiles, Mosaics." 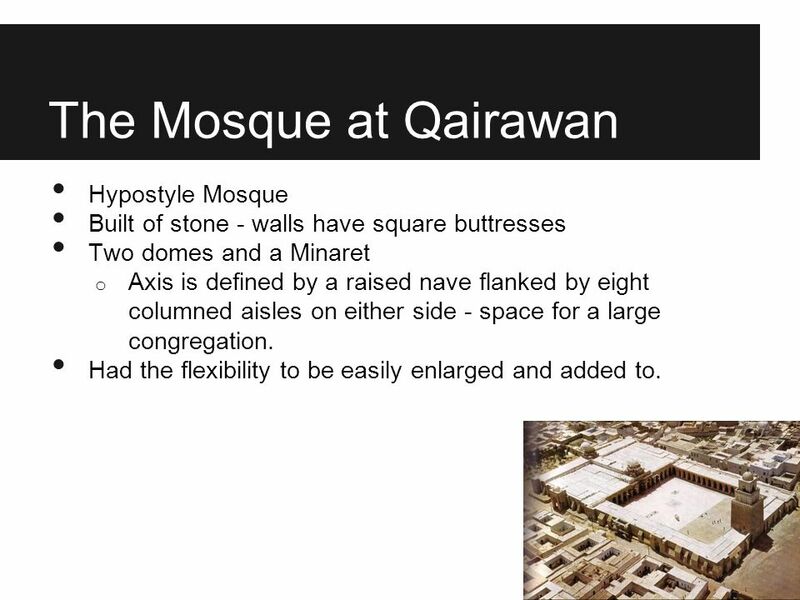 Islamic Sacred Space and Place: Mosque Design. 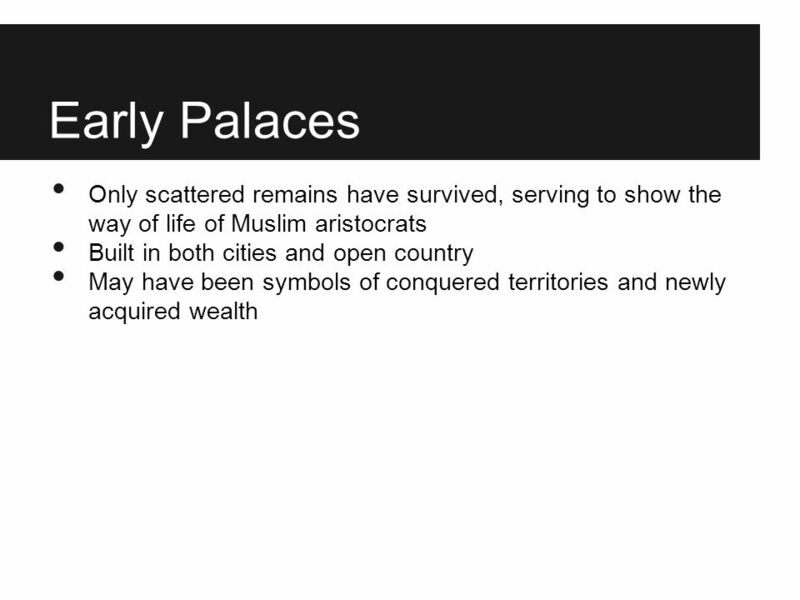 Early period ( ) Centralized empire Middle period ( ) Regional centers and local powers Late. 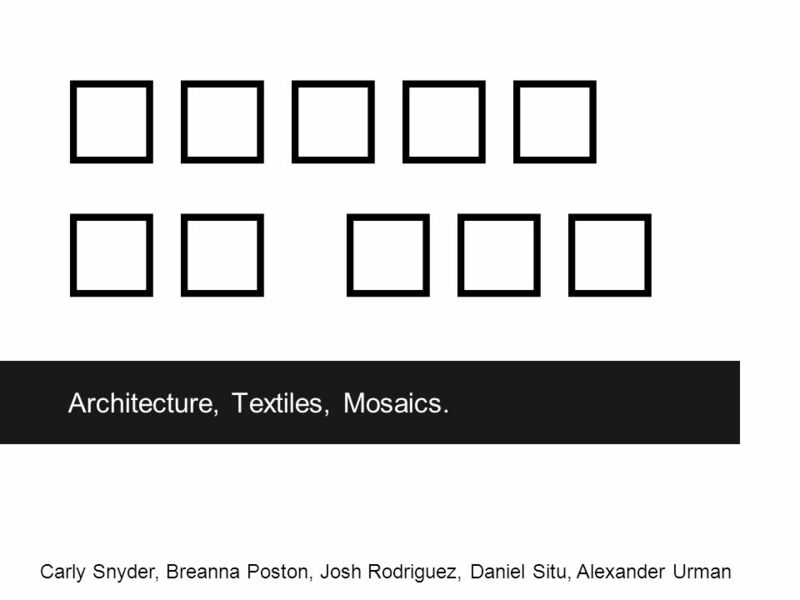 Opening Agenda Put your homework in the box. 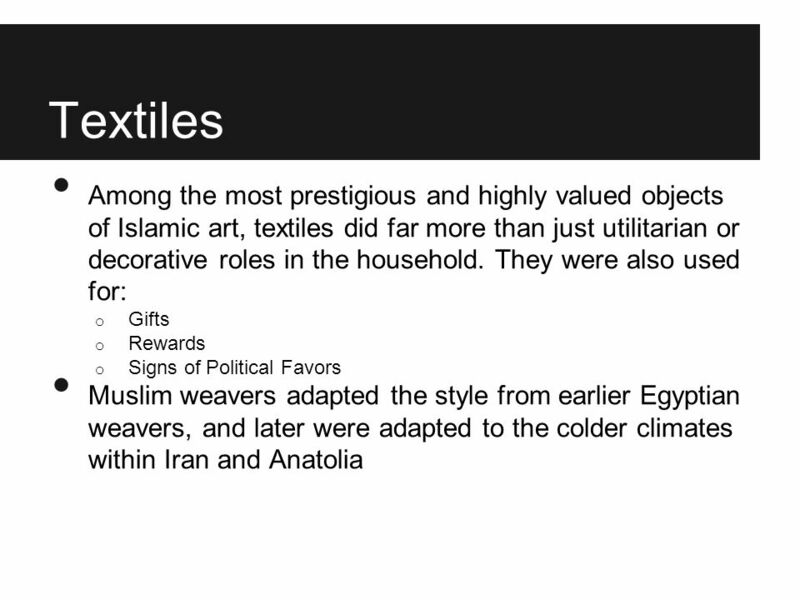 Things you need: –The article (this will be turned back into me) and the handouts off of the table –Your religion. 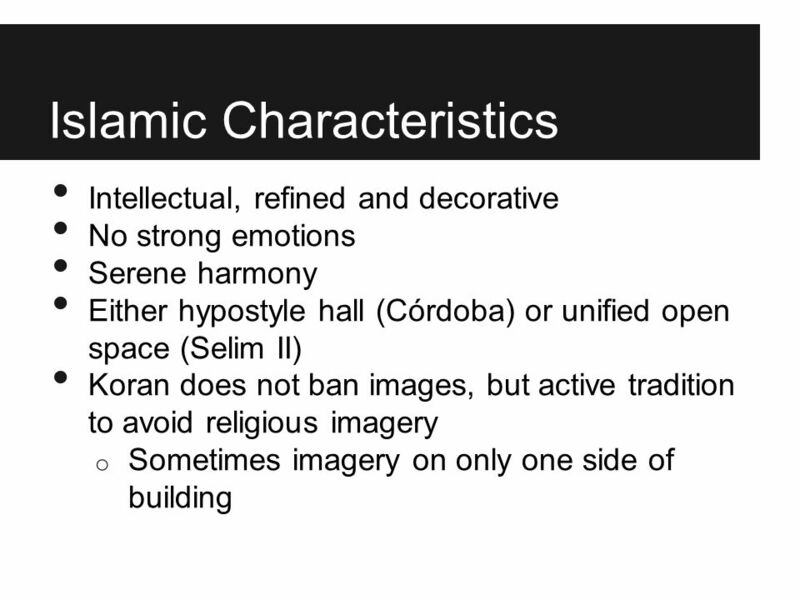 Islamic Art “art beyond the European tradition” “There is only one God, and Muhammad is his prophet.” Chapter 13. 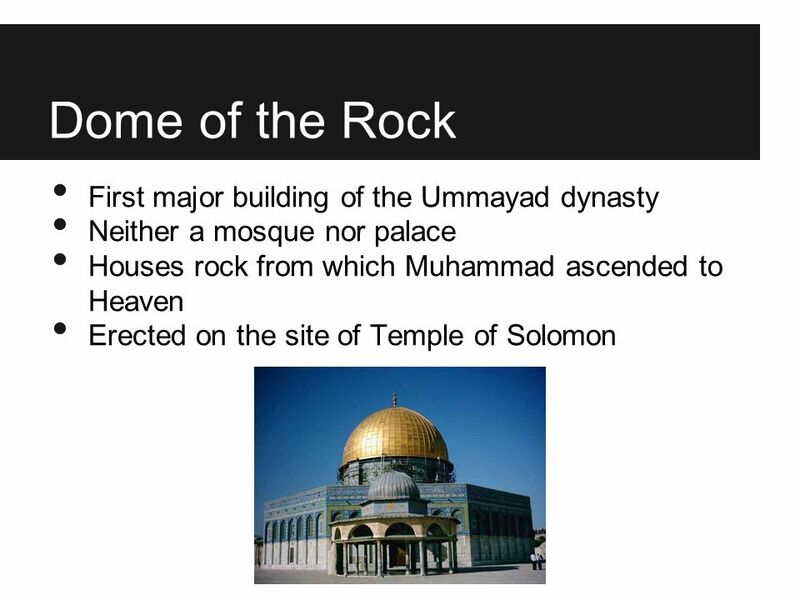 Muhammad- the Messenger of Allah Prophet Muhammad was appointed by Gabriel on “The Night of Excellence” during the Holy Month of Ramadan in 610 c.e. This. 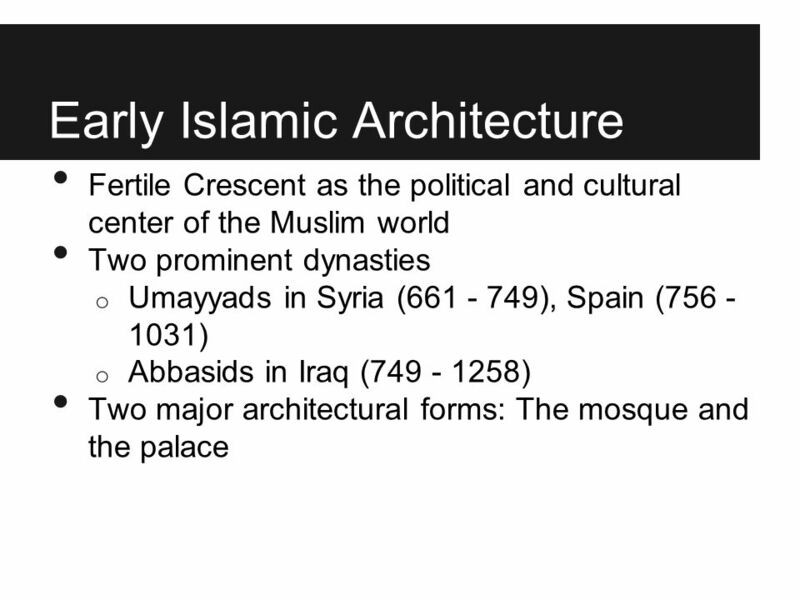 AUBRY VONCK Islamic Architecture. 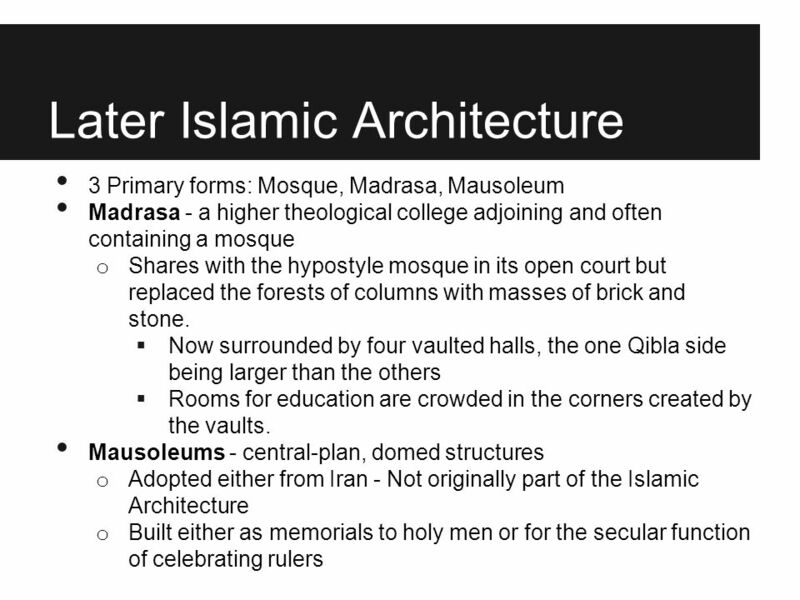 Origins of Islamic Architecture Secular and religious styles from the foundation of Islam in the 7 th century to modern. 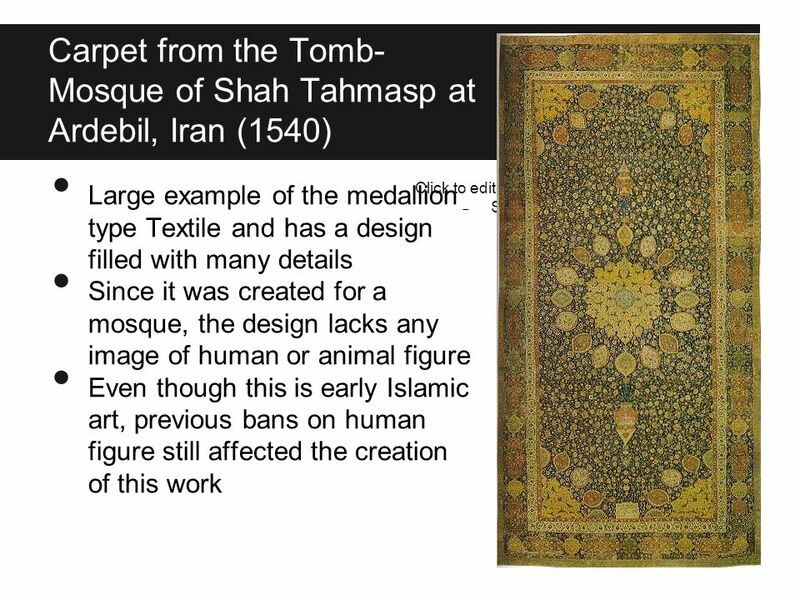 Islamic Art “Submission to God”. 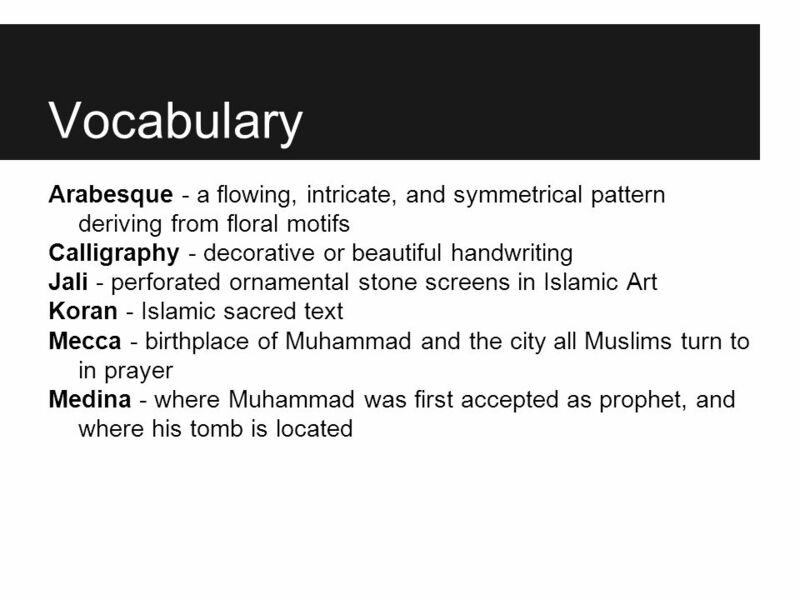 Muhammad, the prophet In 610, Muhammad received revelations from the “one god,” Allah, and founded a new monotheistic. 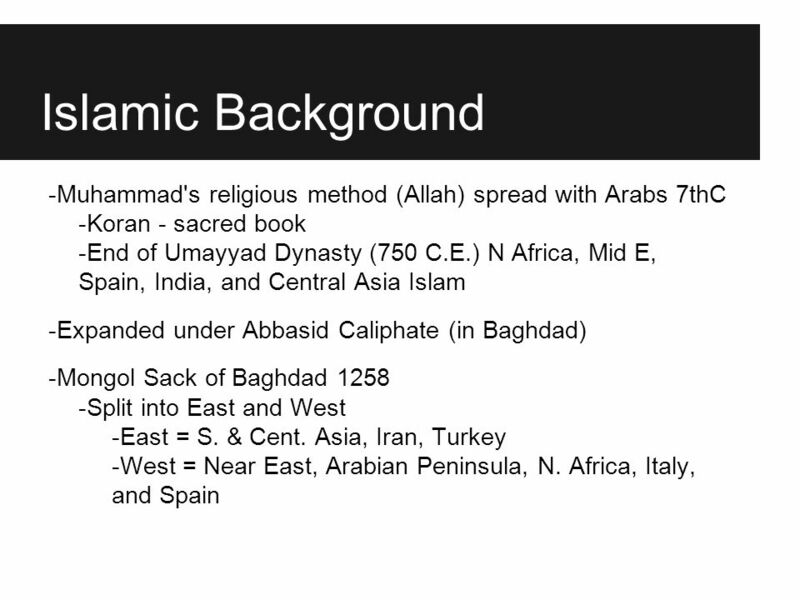 ISLAM BACKGROUND: ARABS Semitic – speaking Nomads Arabian peninsula Tribes ruled by sheikh Caravan trade Persian Gulf to Mediterranean; by 640 ruled. 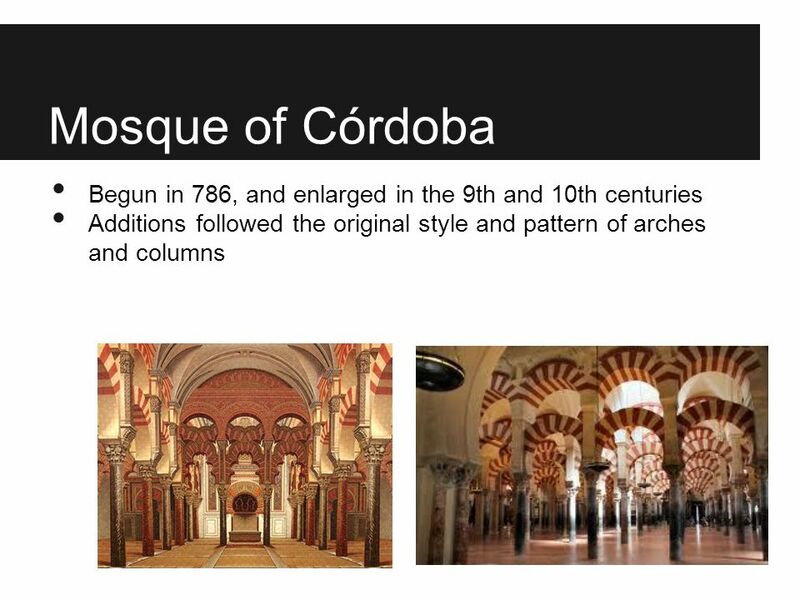 n_aDndKtenLbDL7YKFXAKGSLA0n8Pr pjxo Unit 10: Islamic Art. 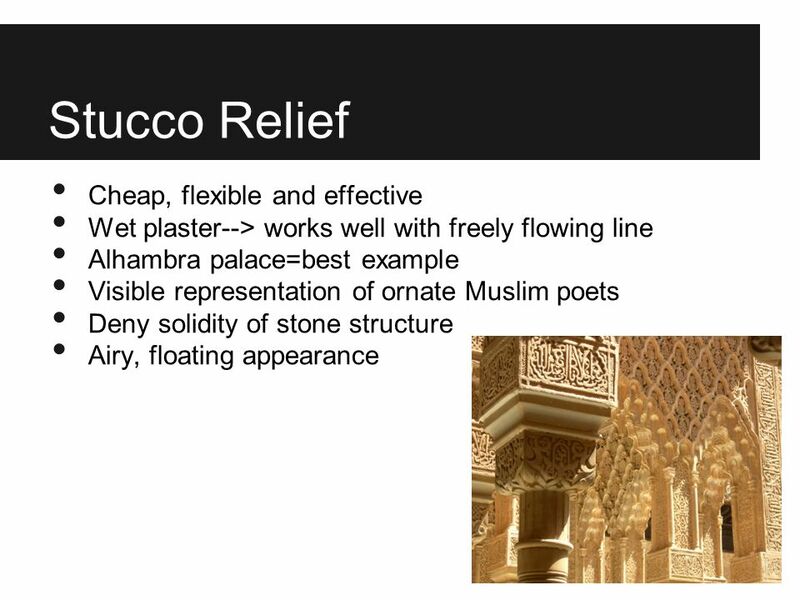 Islamic Civilization – ALI110 Session Four – March 16, 2006 Islamic Art and Architecture. 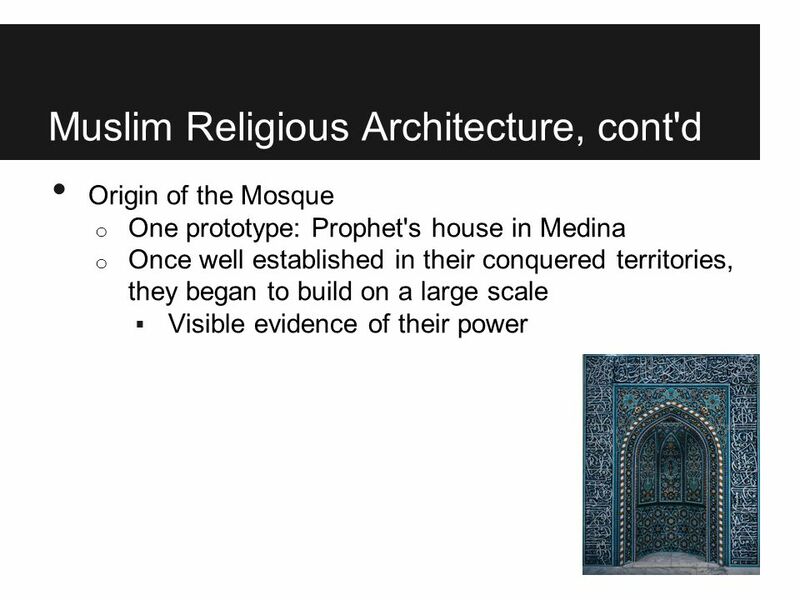 Art of Medieval Europe Reign of Religion. 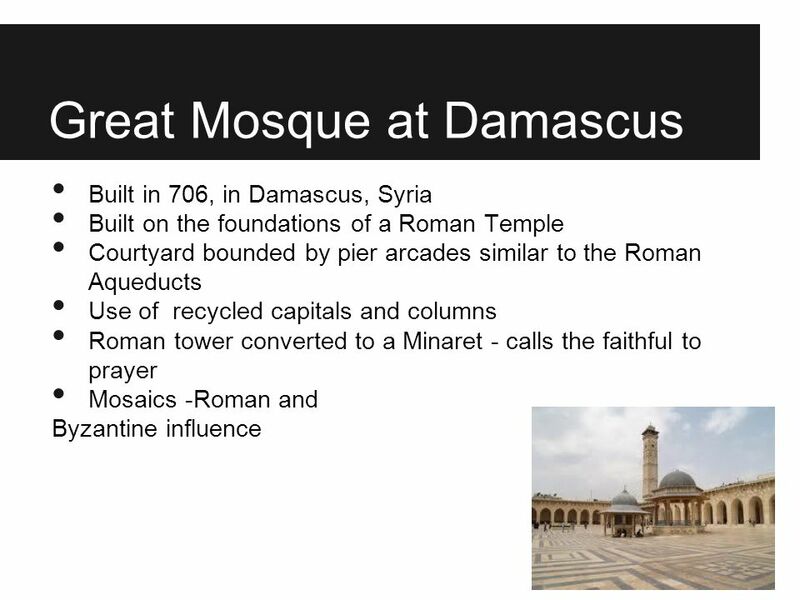 A mixture of Roman, Middle Eastern & European influences Art is primarily made for the church Begins with Fall. 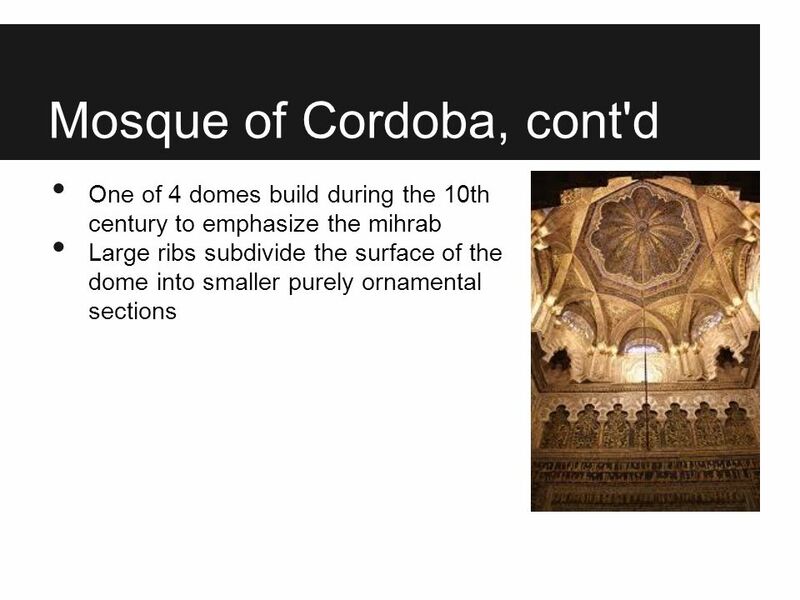 ISLAMIC ART AND ARCHITECTURE. Page from Koran – Kufic Script Word of God recorded in Koran (recitation) Arabic adopted as uniform script to transcribe. 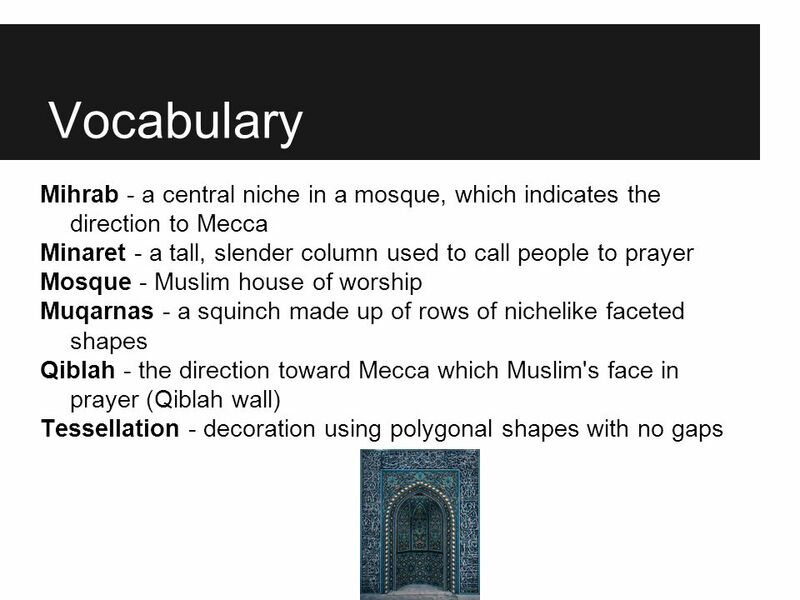 Islamic Art Vocabulary Koran/Qu’ran Hadj Mosque Qibla Imam Minbar Mihrab Minaret Squinches Crenellation Muezzin Moorish Kufic. 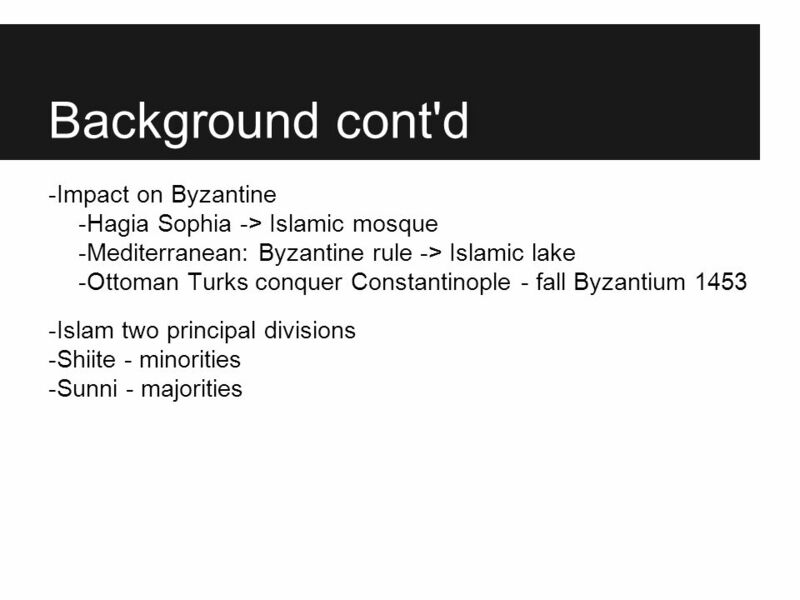 Compartive Civilizations 12 Byzantine Architecture K.J. Benoy.